As you know, Roseanne is heading back to television (!) and will return on ABC on March 27th (!!!). And ABC is welcoming Roseanne fans, and newcomers, back into the Conner family home. Quite literally, in fact. The network decided to do some creative marketing by placing commuters directly into the Conner family’s living room on the subway in NYC. Yep, it’s the most extra ad campaign ever, and we are *here* for it. Subway riders who step into the Roseanne-themed subway car between Grand Central Station and Times Square will find themselves whisked away to the fictional town of Lanford, Illinois, and right smack into one of the most recognizable, iconic living rooms out there, as Adweek reports. ABC redecorated the inside of the train to look just like the iconic space, even transforming the subway seats into the family couch, complete with that cozy, colorful afghan. The walls of the car, meanwhile, are adorned with family photos of the Conners — including John Goodman’s character, Dan, who died in the series finale, but is being resurrected for the show’s revival. And to make sure you really feel like you’re in the family living room and not a subway car, the ends of the car look like a fireplace with a bunch of knickknacks adorning the mantle, just like in the Conner home. We have to say, we’re digging this clever marketing campaign for the Roseanne reboot. Fans of the original show loved spending time with the Conner family, and with this new subway campaign, people can literally spend some time with the family — or in their home, anyway. It’s the perfect way to get fans feeling even more nostalgic for the Conners and the show. 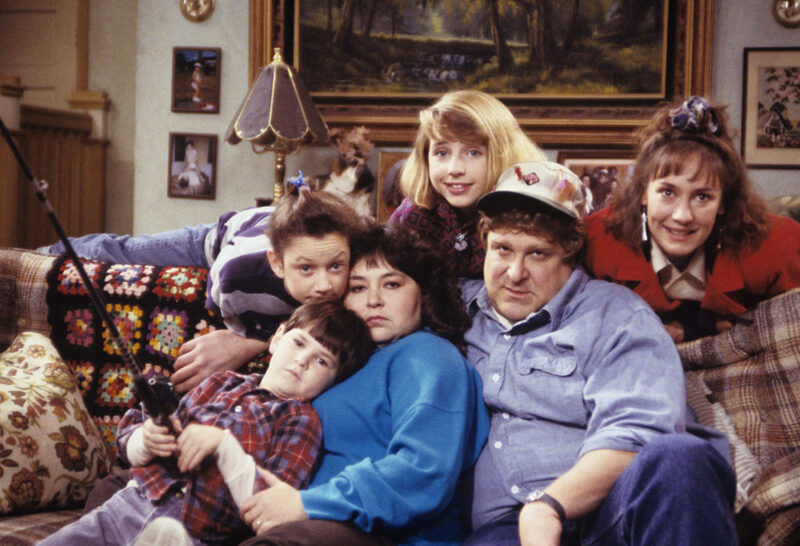 We can’t wait to catch up with our old friends when Roseanne (finally) returns!